As part of its growth plan, The Capitol District (www.capitoldistrictomaha.com) has hired its first executive director, tasked with furthering the entertainment district’s goal of becoming Omaha’s modern-day town square. Sarah (Lukas) McMahon, an Omaha native with decades of local event planning and managing experience, started in her new role on January 21. McMahon comes to The Capitol District after spending years working with the Creighton University Alumni Association, most recently as director of operations and special events. McMahon obtained both her bachelor’s and master’s degrees from Creighton University. She is also a Leadership Omaha alumna and a board member of the Summer Arts Festival. 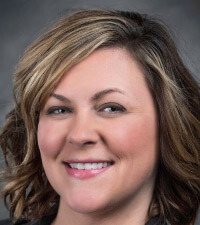 In her new role at The Capitol District, McMahon will oversee the retail and plaza business operations, marketing, and programming, and work to cultivate and implement the strategic plan. She will also forge partnerships between The Capitol District and area businesses, coordinate sponsorships, and plan and assist groups to create events. The Capitol District is Omaha’s dining and entertainment district with a high-tech town square in the center of it all. Construction is still underway, with additional bars, restaurants, and businesses yet to open. For more information, visit www.capitoldistrictomaha.com or call (402) 200-3039.